FRIDAY, Dec. 18, 2015 (HealthDay News) -- A new nasal spray might make rescue care easier for diabetics who are woozy or even unconscious due to severe low blood sugar, a new clinical trial suggests. "This intranasal spray is a big deal," Grunberger said. "This is something which people have been crying for, for years. It was only a matter of time before something more practical came onto the market." The only FDA-approved glucagon on the market is not shelf-stable, so it has to be sold in powder form. "Somebody has to have the vial of glucagon on hand, then they have to add water, shake it up and inject it into muscle," Grunberger said. "This is a problem, because by definition the ones who need it are the ones who can't inject it because they're unconscious." The nasal spray needs no mixing. Either the diabetic or a bystander can shoot it up the person's nose, where the glucagon is absorbed by the mucous membranes in the nasal passages, said Dr. Deena Adimoolam, an assistant professor of endocrinology and diabetes with the Icahn School of Medicine at Mount Sinai, in New York City. She was also not involved with the trial. It took slightly longer for the nasal spray to suitably increase blood sugar levels -- about 16 minutes, on average -- compared with 13 minutes for the injection. "It took a bit longer for intranasal glucagon to work, but given the situation it's probably not clinically significant," Grunberger said. "We don't really know if clinically that delay matters," she said. "In that time, you can have a seizure. You can lose consciousness. There could be catastrophic events. So it's hard to tell whether the delay would be significant." 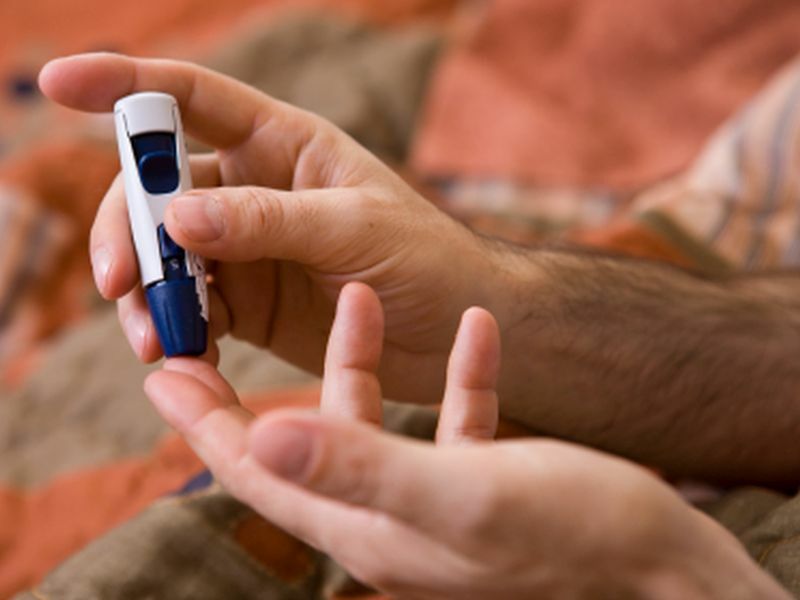 "I think it would have been even more interesting if this study looked at how this medication could help the elderly who are at even higher risk for insulin-related hypoglycemia than the age group evaluated in this study," Adimoolam said. Grunberger couldn't say how long it might take the U.S. Food and Drug Administration to approve the nasal spray.